This article shows you how to see the seller of a listing that is available for sale on Jet. 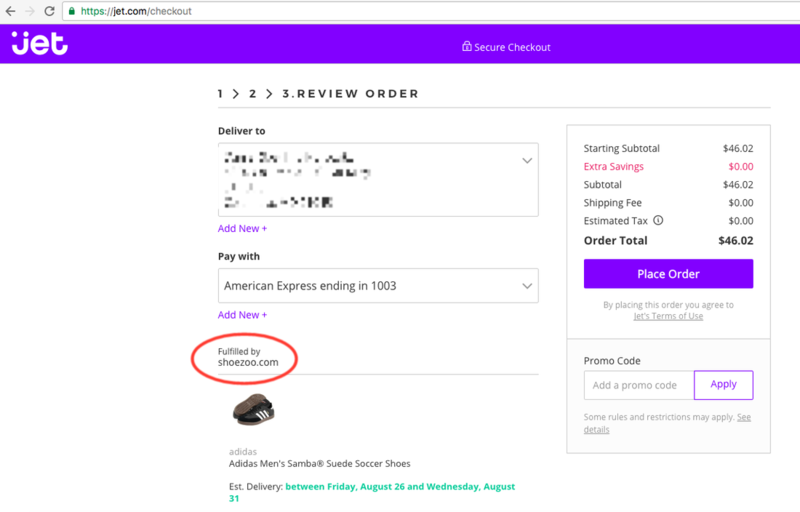 Add that product to your cart and go to checkout (logging in / creating an account is required). Once in the final pre-payment stage of checkout, you will see who your order is fulfilled by.